These packages are perfect for a birthday, christmas present, at an event, confidence builder or just because you want too; the list is endless. I have even done them for team building in the workplace. This bespoke friendly service starts with a thorough consultation to determine your desired results from the photo shoot. From here we will discuss design options as to whether we require a stylist to style the shoot and what props we may need if any. We will discuss clothing, location, hair and makeup options.The shoot can be as dramatic or simplistic as you require; it's your photo shoot. Once we have decided on your theme, the fun can begin. The team will travel to your home or desired location, where you will have hair and makeup to suit your requirements. Depending which package you decide on, one or more locations and one or more looks will be scheduled for you. The team will show you how to pose so you can just relax and enjoy the experience. You will then have a set of images which have captured the memories or style that you desire. 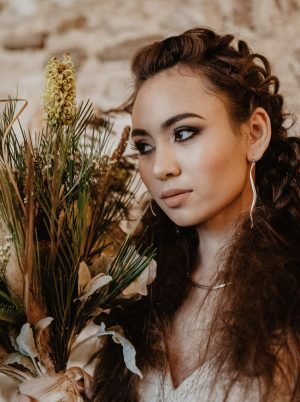 Gemma and her friendly team offer a wide variety of packages from fashion to boudoir shots, where the focus is to provide flawless hair and makeup; along with clever posing, lighting and retouching to create the model perfect look for all women. Head shots where the focus of the shoot is to capture the personality inside the client. Gemma and her team take pride in providing the correct head shots to suit what the client wishes to portray whether it be simple flattering shots for corporate and business or more artistic shots for media use. Natural shots where your hair and makeup will be created to perfection to capture that special moment, whether it be an engagement shoot you require, family portrait, shoot to celebrate the birth of a child or just because you want some nice pictures to treasure.